Today Fan-art is by Maevachan. 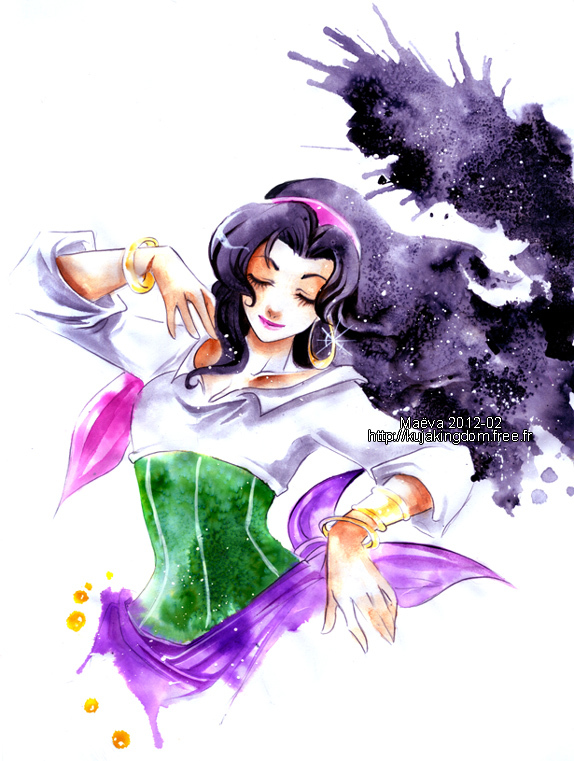 It’s a lovely rendering of Esmeralda with an anime vibe and painter’s touch. I think it’s so pretty. She has lot more like this but with other Disney characters/princesses, so check them out.